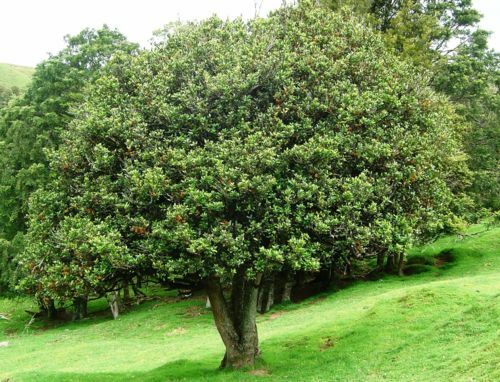 Porikaiwhiri (pigeonwood) is a characteristic small tree of lowland forest. Once common, it's bright orange fruits found on the female trees provided food for pigeons and possibly moa, in spring when little other fruit was available. Porokaiwhiri grows in a wide range of habitats from low ground in the Waikato River delta to dry ridges in the Hakarimata range. It grows in the open in full sunlight and in the shade of a forest canopy. 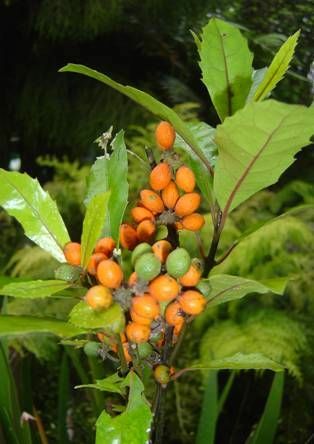 The glossy leaves, clear white flowers and bright orange berries make it an attractive specimen. Because it grows to only about 8 metres it is an ideal specimen for an urban gully situation.